Exercise pets during the day- take dogs on a long walk. For cats, play with them for half an hour or more. If they are tired, pets are more likely settle down and rest later in the evening. 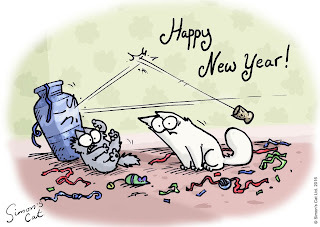 With fireworks going off through the evening, it is best to keep cats indoors (provide a litter tray). When taking your dog out for a toilet break, do so in your garden and keep them on a lead so that you can stay close to them. Ensure that their collar is fitted correctly so that there is no chance of escape should they become frightened. 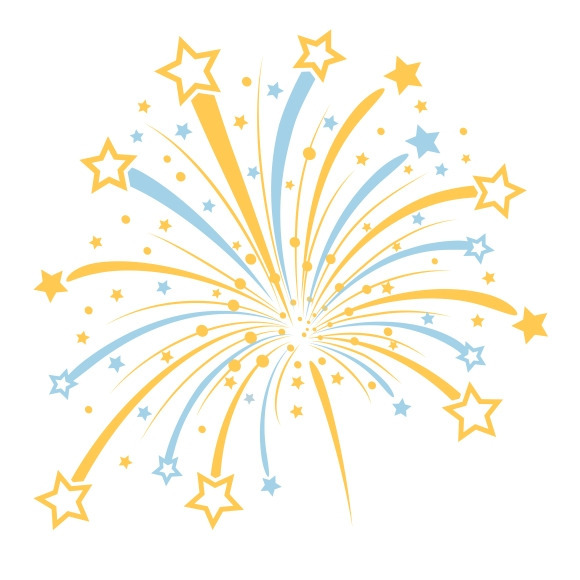 Keep the curtains closed, lights on and turn up the radio or TV to help muffle out the sounds of the fireworks. Ignore any fearful behaviour such as panting, pacing and whining. Continue to stay relaxed and carry on as if nothing has happened. Behave normally and praise your dog if they are relaxed with cuddles and a treat. When guests are arriving and leaving, keep your pet away from the front door to reduce the risk of them escaping or becoming overexcited and jumping up. Provide a safe, cosy 'pet- zone' for your pet to retreat to, with water, their bedding and a favourite toy. Shut the curtains and leave a light on. Play some soothing music at low level. Be sure to check on them frequently as the celebrations get into full swing, but remind guests to give them space and leave them in peace. 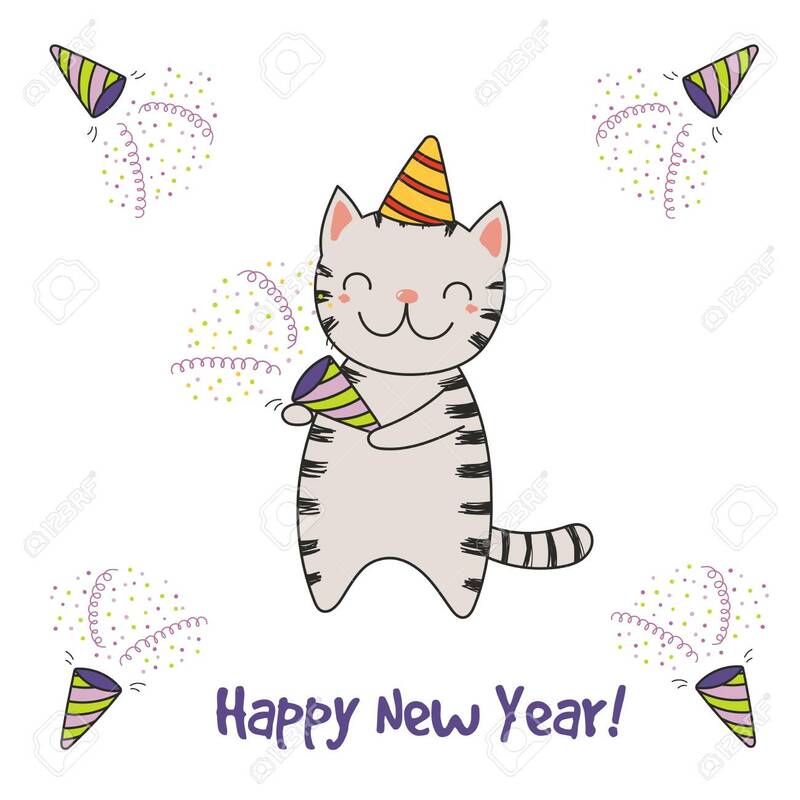 If your pets do interact with party guests, make sure that everyone knows not to feed your pet food or alcohol and be mindful of where leaving your plate and glass. This may seem self-explanatory, but some people may not be aware of the dangers of such behaviour. Take care not to leave objects lying around that your pet could chew and swallow such as wine corks, cracker toys, corn on cob. 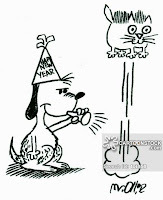 Party poppers and crackers can cause a fright - ensure that pets are in their safe area and away from the noise before they are pulled. Cats will tend to hide if scared. Do not try to coax them out if they are hiding. 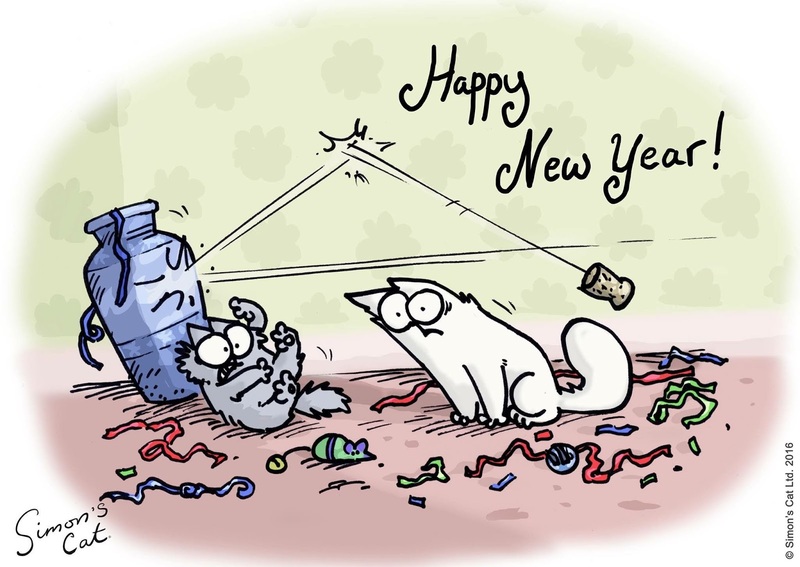 Before your party guests arrive make sure that your cat has some safe hideaway areas where they won't be bothered. 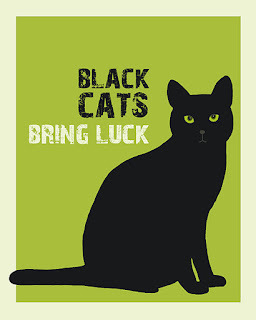 Ensure that they can access their litter tray and food should they wish. The contents of the Arden House Animal Hospital website are for informational purposes only. The content is not intended to be a substitute for professional veterinary advice, diagnosis, or treatment. Always seek the advice of your Veterinary Surgeon with any questions you may have regarding your animal’s medical condition. Never disregard professional medical advice or delay in seeking it because of something you have read on this website. In order to provide 24 hour care throughout the festive period, we are working with Vets Now to ensure your pets have the best possible care. We will continue to provide our own emergency service up until 4 pm on Christmas Eve (Mon 24th December) returning at 8.00 am on Thursday 27th December. 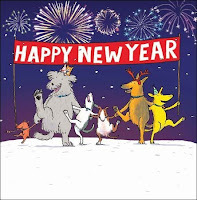 Our own emergency service will be available from 8:00 am on 27th December until 4 pm on New Year's Eve ( Mon 31st January). 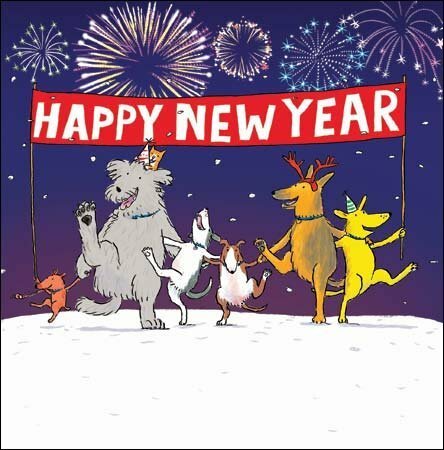 Vets Now will provide all emergency care from 4 pm on Christmas Eve until 8:00 am on Thursday 27th December and from 4 pm on New Year's Eve (Monday 31st December) until 8.00 am on Wednesday 2nd January. If you need to access any emergency care throughout the festive period please telephone the usual clinic number on 01895 633 600 and listen carefully to the instructions on the answerphone message. Vets Now are the leading provider of out of hours veterinary care in the UK. Vets Now works alongside your daytime practices to ensure pet owners have access to a vet whenever they need one regardless of the time. Their clinics are open when your daytime practice is closed. Please always call your usual surgery telephone number and if they are closed please listen carefully to the instructions on the answerphone message about how to contact the duty veterinary surgeon. Who works in the Vets Now clinics? 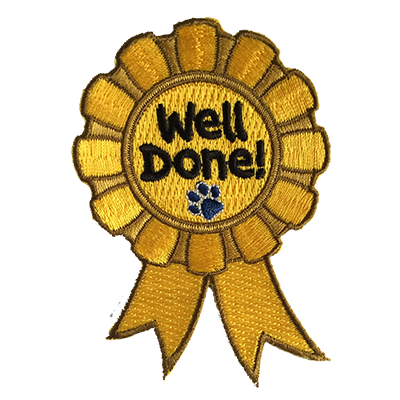 Fully qualified vets, nurses and receptionists are based in the clinic for the full duration of their shift. All staff receive regular training with a particular emphasis on emergency and critical care of small animals. How do you get in touch with Vets Now if you need to use the service? You can call the usual clinic number (01895 633 600) and listen to an answer machine message giving the number of your local Vets Now clinic. Call the clinic with details of the problem and qualified staff will give you advice on what do. All telephone calls are logged and recorded for reference purposes. Can you just phone for advice and how much will that cost? We have subscribed on your behalf to the Vets Now Out of Hours service. Their trained staff can offer advice over the phone and although an appointment is always offered it is not always necessary. In fact only around 20% of calls result in an appointment. Telephone advice is provided free of charge as part of the complete service. If your pet needs to be treated, how do you pay? Vets Now is an independent company so you will be asked to pay at the time of treatment. Vets Now accept all major debit and credit cards or cash payments. Details of Vets Now fees are available from the practice. Are Vets Now fees covered by pet insurance? Vets Now fees should be covered in the same way as any other veterinary fees by your insurance company. If you are in any doubt, check the detail of your policy with your provider. 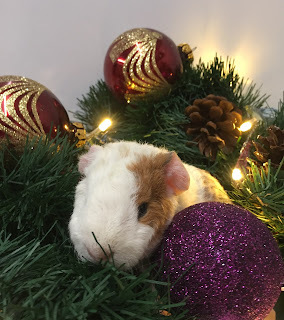 Our poem is a reminder to have a pet-safe Christmas! Twas the night before Christmas.....and at Arden House, Albert was dreaming of a new catnip mouse; when in walked the vet with some patients to see, first a kitten had fallen out of a Christmas tree. 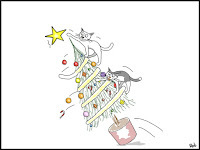 Mimi had tried to climb to the top, the tree toppled over and down she dropped! 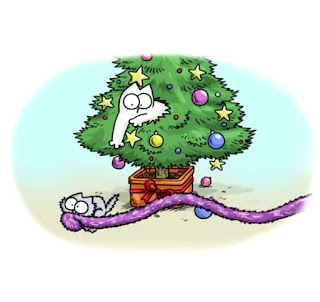 Felix had swallowed red tinsel strands, he was now being sick; an operation was planned. 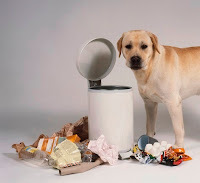 With everything well and the animals fed, and Albert still asleep in his nice comfy bed; loudly the phone started to ring...’It’s my dog’ said the owner, ‘she’s raided the bin!’ Penny the Labrador’s groans could be heard; She’d eaten the bones from the cooked Christmas bird. ‘I’ll need to see her’ the vet explained as Penny was in a lot of pain. At the hospital Penny was admitted to stay, to receive care throughout Christmas Day. The sound of the phone rang out again. ‘I’m worried about my dog!’ an owner exclaimed. ‘What’s happened?’ asked the vet concerned; she’d eaten a bar of dark chocolate he learned. ‘Please bring her straight in for emergency care’ the vet advised as fully aware, that a compound in chocolate in pets is toxic and likely to be what’s making her sick. having eaten a pack of luxury mince pies. so if eaten, it's important to contact your vet. the vet went to put on the kettle. the arrival of somebody special! greeted Santa wiping his boots on the mat. he'd slipped on ice when he landed from flight. An x-ray showed no broken bones, the reindeer was fit to fly to more homes. it was time for Santa to take the reins. 'Merry Christmas to you, Ho Ho Ho' beamed Santa as he prepared to go. off whizzed his sleigh into the night! 🎄Bottle corks, corn on the cob, cocktail sticks, cracker toys, ribbon and tinsel can be dangerous if swallowed. 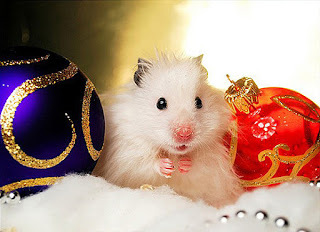 Ensure that they are tidied away or kept out of reach of pets. 🎄Ingestion of batteries is more common at this time of year. If the battery is chewed and pierced it can cause chemical burns and heavy metal poisoning. If they are swallowed whole it is possible they will cause an obstruction. All batteries are potentially toxic so if you suspect your dog or cat has chewed or swallowed a battery - please call us. 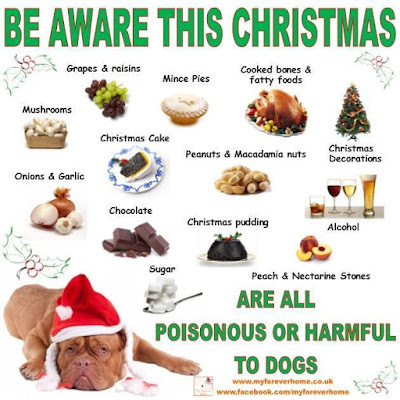 If you think that your pet may have eaten something that they shouldn't have then swift action is necessary. Step 1 - Prevent your pet from eating any more. Step 2 - Phone your vet immediately! Step 3 - Stay calm and follow your vet's instructions. Step 4 - Collect the relevant wrapping and packaging. Christmas time often means a busy home, with friends and family coming together in seasonal spirit. Remember that new faces and more noise can be scary for your pet, so it’s a good idea to provide them with a safe room so they can escape and be put at ease if it all becomes too much. Be mindful of the front door opening with guests arriving and leaving. Make sure that dogs can't run out! It’s also important to maintain your pet’s normal routines, especially with feeding and exercise, to avoid them becoming too unsettled. Our pet of the month from July is super Shadow, who suffers from Feline Lower Urinary Tract disease (FLUTD). He has required treatment over the last few months after a flare up of his condition meant that he was unable to pass urine properly, a situation that needed urgent veterinary attention as it can be life threatening. FLUTD is not a specific disease but rather is the term used to describe conditions that can affect the urinary bladder and/or urethra (the lower urinary tract) of cats. Clinical signs for these disorders are all very similar so it is often difficult or impossible to determine the underlying cause without doing further investigations. The underlying causes of FLUTD include; bladder stones, bacterial infections, urethral plugs – an accumulation of proteins, cells, crystals and debris that bind together, anatomical defects e.g stricture, and bladder tumours. 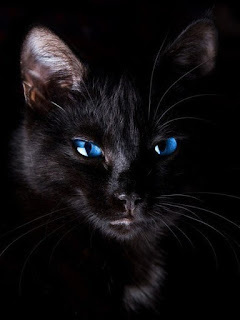 However, a number of cats develop the condition without any obvious underlying cause – so called Feline Idiopathic Cystitis (FIC). Both male and female cats can suffer from FLUTD but it is the male cat that is more susceptible to a urethral obstruction due to their urethra being longer and narrower. (The urethra is a tubular structure that runs from the bladder to the outside of the body). A blocked urethra (commonly referred to as a 'blocked bladder') is an emergency that requires immediate veterinary treatment. If your pet is unable to pass urine (of which males have a higher risk), it is important to seek immediate veterinary attention. It was November last year when Shadow's owner first brought Shadow in to see us after she'd noticed he was not acting himself and he’d not eaten. An examination by vet Kirstie revealed that his bladder was very large and painful and she suspected that he was unable to pass urine. As Shadow prefers to toilet outside, his owner had not been able to assess this. He was admitted for emergency treatment which involved placing a urinary catheter to allow the urine to drain out of his bladder, relieving the pressure. A blood test was taken to ensure that Shadow's kidneys had not been damaged and to check that potassium (an electrolyte) had not built up to dangerous levels. Shadow was prescribed some medication to support his bladder and after a night in hospital was feeling much better. Shadow went home and at his next check up was doing well so it was decided to continue with supportive treatment. His owner's were advised to encourage Shadow to drink more water which helps to flush the urinary tract by producing more urine. They bought a water fountain and started to mix some wet food (pouches) into his dry food. Importantly they were aware of signs to look for should there be a recurrence. In February this year, Shadow's owner's noticed that he appeared uncomfortable and promptly brought him in to us. Vet Celia examined him and found his bladder to be painful. He was also unable to pass a free flow of urine so he was admitted to the hospital for a urinary catheter to be placed and for treatment for the pain and inflammation. Shadow required some tests to investigate the cause of his symptoms. Over the next few weeks, Shadow had an ultrasound scan and some x-rays taken. These procedures allowed the vets to look for the presence of bladder stones (uroliths), assess the structure of the bladder and urethra, and assess kidney health. They also checked for signs that could indicate a tumour to be present. Urine samples were sent to the lab and analysed for signs of infection and the appearance of significant quantities of crystals. With each of these factors ruled out, Shadow’s symptoms were attributed to Feline Idiopathic Cystitis (FIC) that lead to severe urethral spasms which was why he was unable to urinate. This was very painful for him and it was important to keep him as comfortable as possible and carefully monitor his urination. Blood tests were run to monitor his kidney function and he required supportive intravenous fluid therapy. 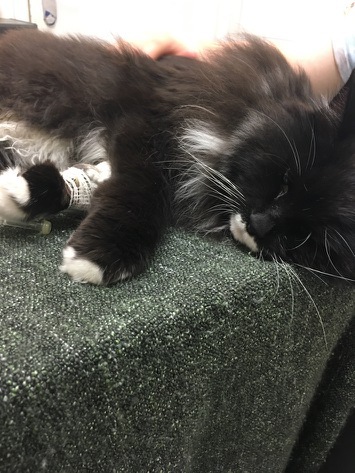 Subsequently, Shadow has had to stay with us several times over the course of the last few weeks for further catheterisations, monitoring and treatment. Shadow pictured in hospital during a visit from his owner. It was important that Shadow received plenty of attention as he was feeling quite depressed, so the nurses chatted away to him to help keep his spirits up and he enjoyed some chin rubs! Shadow's owner visited with some freshly boiled fish to tempt him to eat and of course was on hand with plenty of fuss. Throughout his time with us, Shadow has been an exemplary patient and we pleased to say that he is now doing well at home. His owners monitor him very closely to ensure that any clinical signs of recurrence are picked up on as soon as possible. Shadow takes his medication daily and his owners are continuing to encourage him to eat wet food and drink plenty of water. 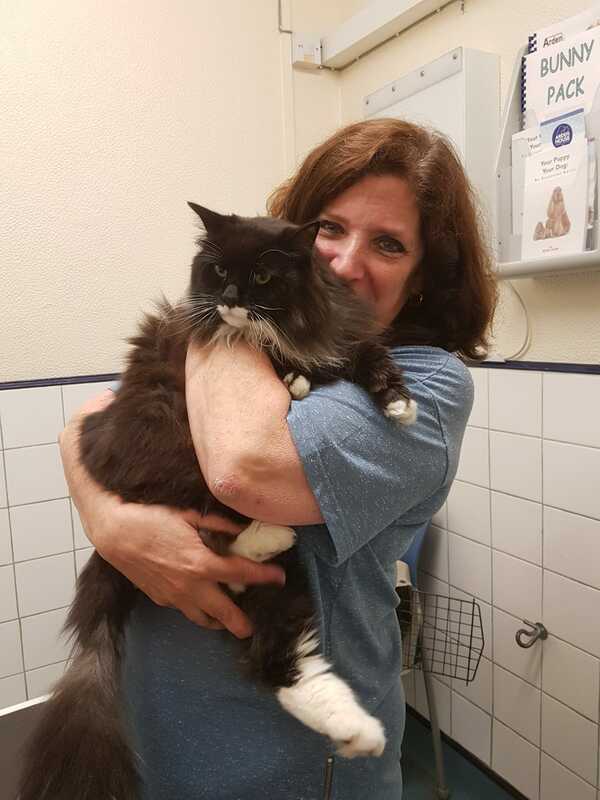 They are also watching his weight as being overweight is a possible risk factor of FIC, as is stress, so keeping him in a familiar home routine will be beneficial. For his bravery and courage and his owner's perseverance and love, Shadow is our much deserved pet of the month. 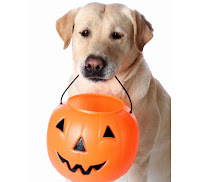 Take the fright out of Halloween - Tips for keeping your pet safe. Halloween has become more popular each year with parties being held, fireworks being let off and children out trick or treating. Here are a few reminders to ensure that your pet stays safe. All the noise and excitement of Halloween can be distressing for animals so provide them with a safe, quiet area in which to retreat, complete with their favourite toys. Take your dog out for a walk before the evening activities get under way. 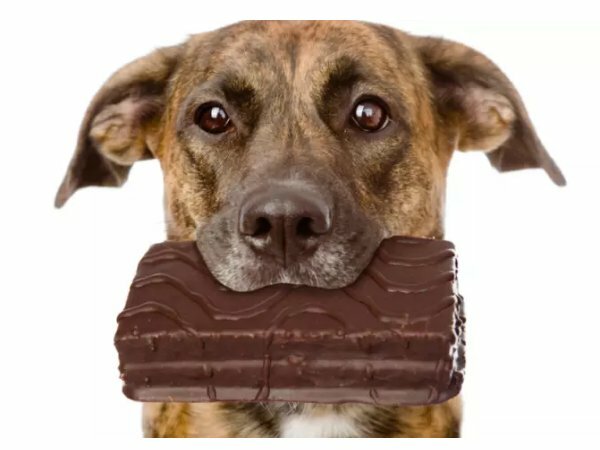 Keep all edibles out of reach of your pet , especially chocolate and treats that contain the natural sweetener xylitol. Keep pets away from the front door. Children in costumes can scare a pet and with the door opening and closing frequently, you don't want them escaping. 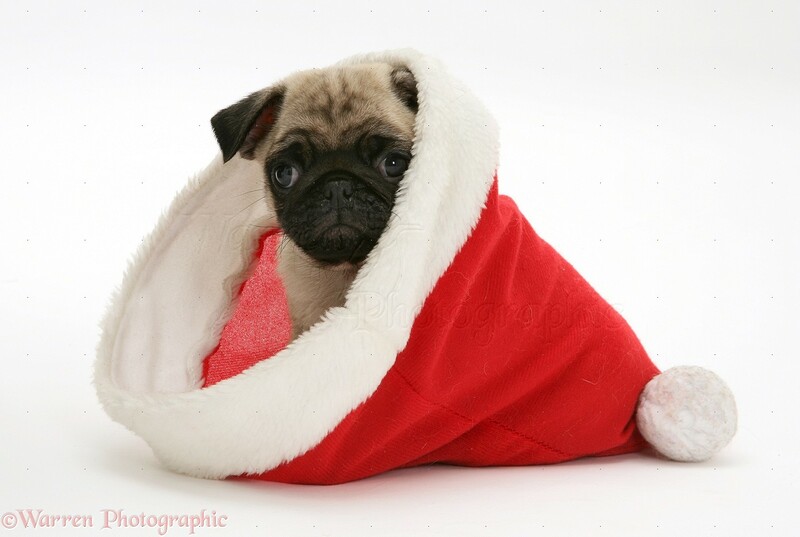 Do not dress your pet up unless they are completely comfortable with this and ensure that the accessories are kept simple. Supervise your pet at all times. Take care if you are using candles - wagging tails and swatting paws can knock them over. Keep glow sticks and glow accessories well away from pets. 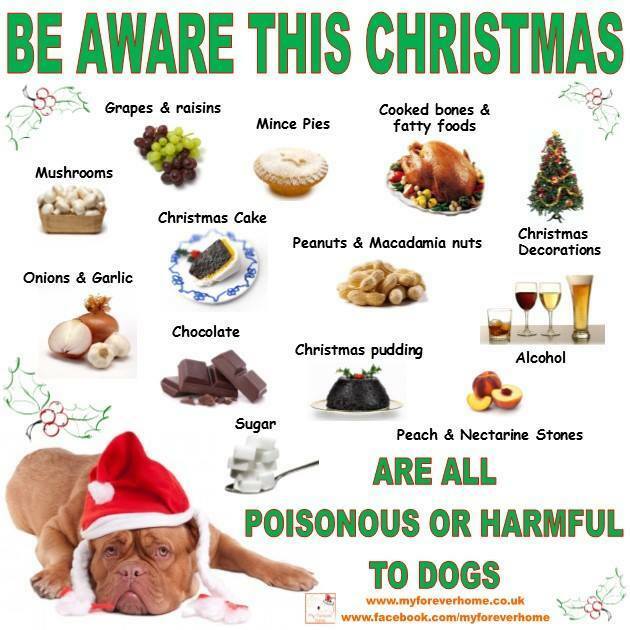 Even though they aren’t necessarily toxic, if chewed on they can cause your pet to salivate excessively and act abnormally - seek advice from your vet. 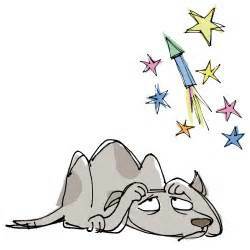 With many pets anxious and fearful of loud noises, the firework season can result in some stressful evenings for pets and owners alike. Signs to look out for in your pet include panting, trembling, pacing, seeking people, hiding or trying to escape, refusal to eat, inappropriate urination or defaecation, vocalisation, as well as changes in facial expression and body language indicative of stress. 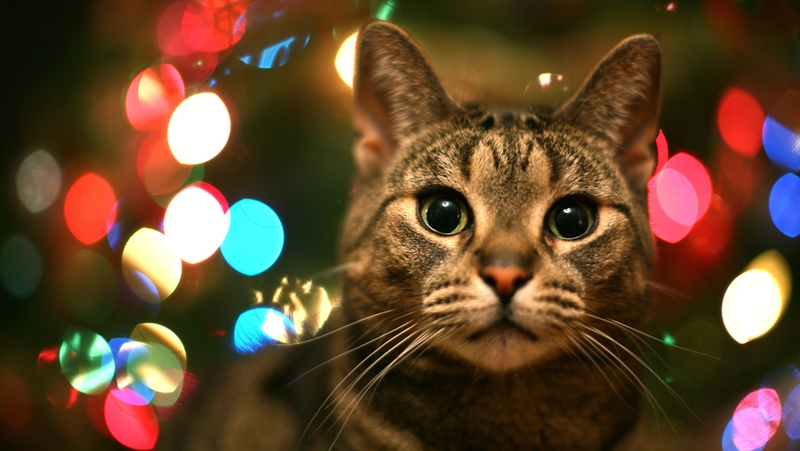 To help your pet cope with this time of year, here are some helpful steps you can take at home. It's important to be prepared, so now is the time to act, before the fireworks start. Provide your dog with a safe retreat or den. 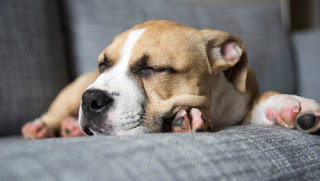 Many people will create a den by using a dog crate covered on three sides with a blanket, but a space under a piece of furniture could do the job equally well. Provide a cosy bed or blankets in which they can hide and feel secure. Allow them freedom to access and leave the den at all times and provide positive experiences whilst they are using it, like a favourite toy or treat and give lots of praise. Leave a water bowl nearby so that your dog can easily get a drink. Prepare this area in advance to allow your pet time to get used to using it. Cats tend to find their own safe haven such as under a bed , behind a sofa or up high on top of a wardrobe. 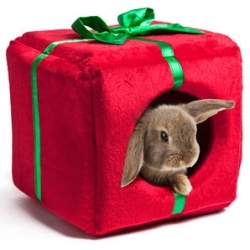 You might like to provide a cardboard box on its side with a blanket inside or an igloo bed. It can be placed in your cats preferred hiding place, but don't force them to use it, they will choose to do what makes them feel most comfortable. Provide a litter tray that they can easily access. 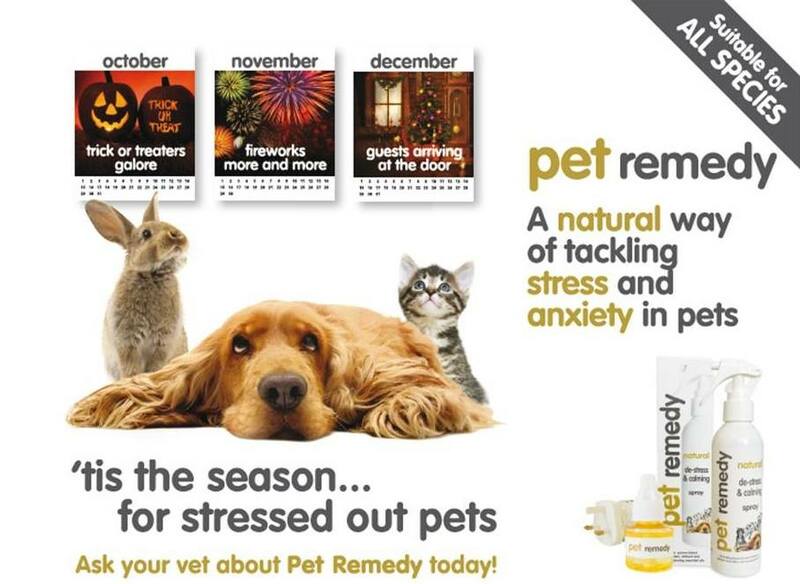 There are some excellent natural calming products available to help manage stress in dogs and cats. Feliway for cats and Adaptil for dogs are some of the best known – they mimic the comforting pheromones, which are naturally produced by the animals. We stock a product called Pet Remedy which is a blend of essential oils that can help to calm anxious and stressed animals. It is available in a diffuser or spray format and starts to help immediately. We also have natural herbal remedies available in the form of tablets (and liquid for cats) - please ask us for more information. 👕A Thunder-Shirt for dogs is based on the concept of swaddling or compression. Just as swaddling new born babies can help them to feel more secure, the gentle pressure applied by the Thunder-Shirt can have a calming effect and help anxious dogs feel more secure. (This method may not work for some dogs). There are drugs that can be prescribed for particularly stressed pets. For dogs that get particularly worried by fireworks, a product is now available to help them with noise phobias. It provides a calming effect without sedating them. It is a gel that is applied to the gums, so it can be administered at home. Your dog should be able to function normally, and of course, be less concerned about the noises. Your pet will require a health check with a vet before any medication can be prescribed. Take your dog for a walk early in the evening before the fireworks start. Ensure your pet is safely inside and secure doors, windows and cat flaps. Cats will need a litter tray. Is your pet micro-chipped in case they do escape and are your details up-to-date? Try not to leave your pet alone when fireworks are going off. Pets may hurt themselves or cause damage if they are not supervised. Having you there provides reassurance and comfort. 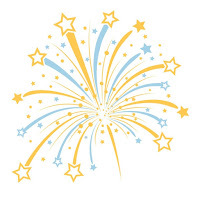 Shut curtains, keep lights on and switch on the radio or TV to help muffle out the sounds of the fireworks. Provide distraction in the form of toys or chews. A little calm reassurance from you, should they seek it, will go along way. Don't fuss though, as this can make their behaviour worse. Praise your pet if they are relaxed with cuddles and a treat. 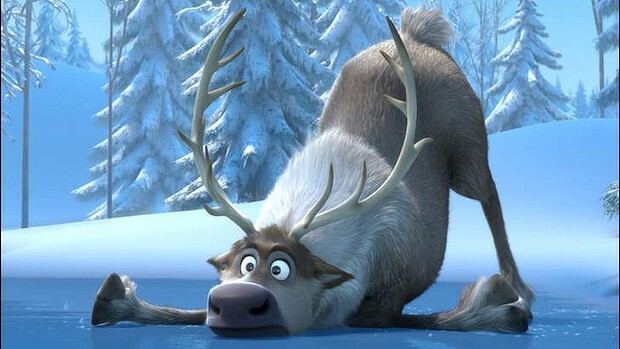 Act normally and try to stick to your normal routine. Ignore the fireworks. Don’t get cross or punish your pet, regardless of their behaviour, as it will only make them more distressed. Should your dog need to go into the garden to the toilet, keep them close to you on a lead. 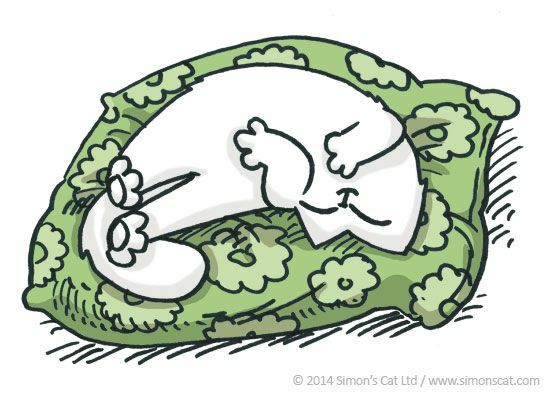 Cats prefer to be left to cope on their own - let them find a hiding place and leave them undisturbed. 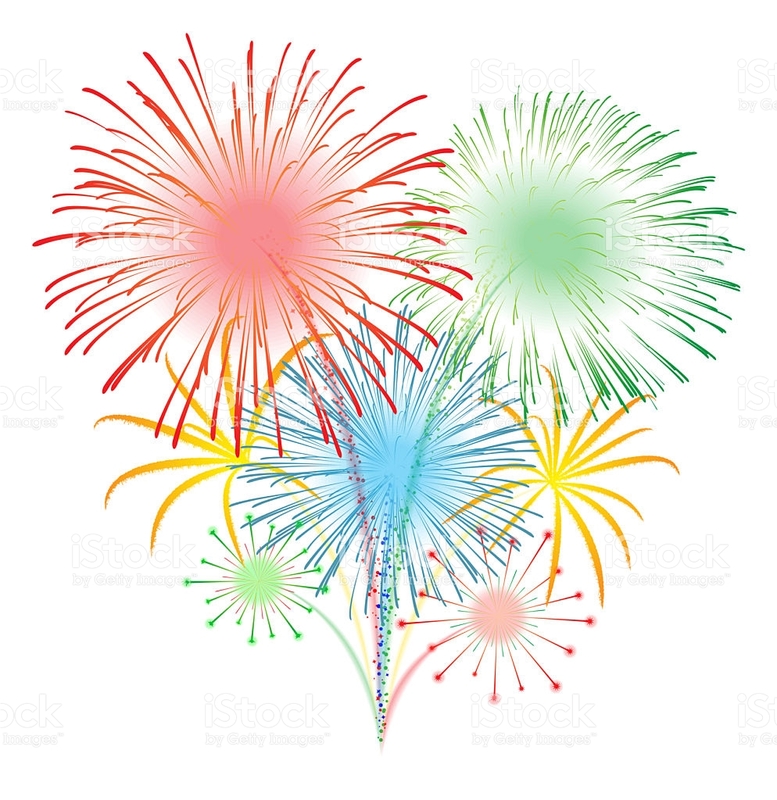 🎇It is a good idea to find out if any public firework displays are scheduled in your local area to ensure that you are at home with your pet when it is happening. 🎆If you are planning your own firework party, let your neighbours know so that they can be prepared. 🔥 Don't forget to check bonfires thoroughly before lighting as hedgehogs like to sleep in them. Lift up the base using a broom handle and listen for any noise, shine a torch into the log pile, or even better, move the bonfire completely before lighting. Light a bonfire from one side only, it will provide an escape route for a hog. If the hutch is attached to a run, make sure that your pet is back in their hutch before it gets dark and close off access to the run. Provide plenty of extra hay in which they can burrow and hide. A cardboard box ,with a hole cut in the side for access and filled with hay, makes a good hiding place. Turn the hutch to face a wall or fence to help block out the flashes, or cover the hutch. Do however ensure that there is enough ventilation. If you can, move the hutch indoors to a cool part of the house or into a shed for example. 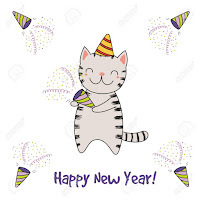 You could always bring them inside for a cuddle (if they are used to this) or pop them in a pet carrier indoors with plenty of hay during the worst period of the fireworks. Other than changes to the home environment, or medication, you can try behaviour modification to ease your pet's fear. This is more of a long-term management option which can be very effective. A process called 'de-sensitisation' teaches your pet not to react to the fear stimulus and then eventually to associate it with something positive. Ask your vet about sound therapy and for further advice on behaviour modification.